From a young age, Halina Stopyra has been drawn to the healing arts. This natural inclination led her into a career as a physical therapist and, later in life, as an artist. She has been inspired and influenced by mythology, folk tales and stories, finding familair archetypes thought the ages and acorss the planet. Human faces and forms are the often the focal point of her compositions and, as the intimate self is expansive and flows, her medium is watercolours. 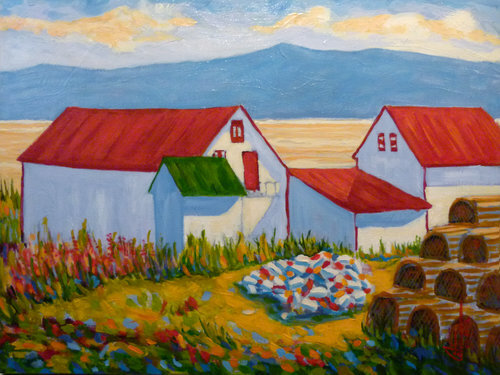 A founding artist of Redbird Gallery, Halina splits her time between Toronto and Cape Breton. Native of Trois Rivières, international award winning artist Therese Boisclair found expression in the fragility of the tissue paper and the boldness of the acrylics on canvas. She creates paintings that depict the unique atmosphere reminiscent of abstract landscapes that inspire us in the maze of our own imagination. Posted on November 13, 2018 by Lory MacDonald and filed under Paintings and tagged ArtfestChristmas #ChristmasCrafts #ygk #ygkarts #kingston #ChristmasShopping #Gp_Vgt. 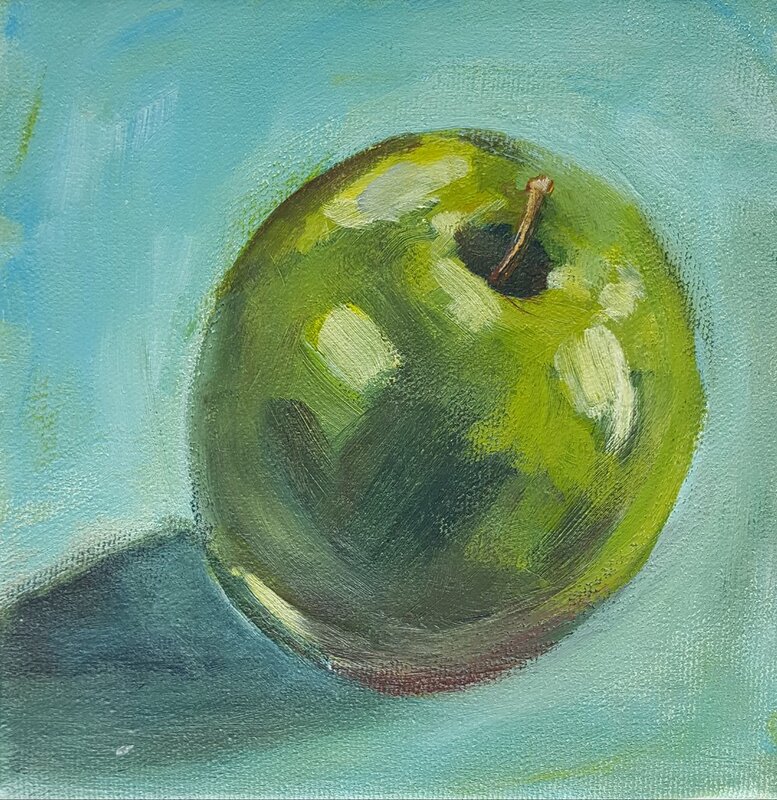 When illness forced Glenburnie resident, Heidi Colburn, to give up her career, she turned her creative talents to painting. 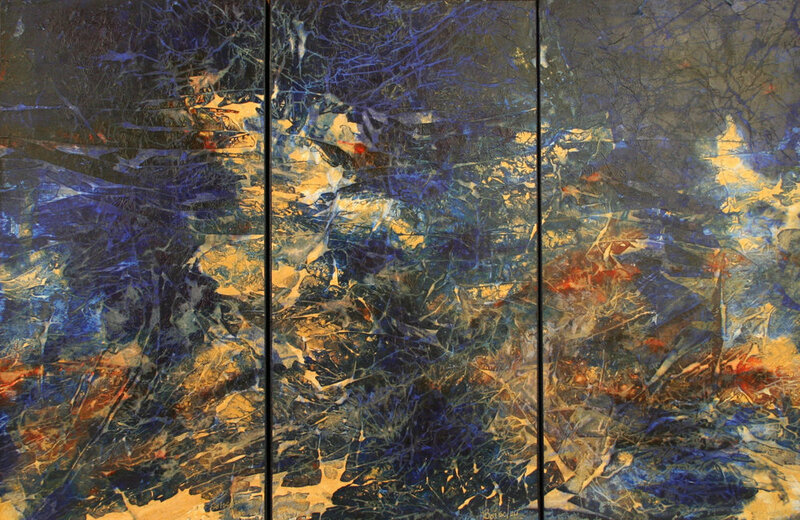 Self-taught, Heidi's abstract canvases pulse with an appreciation for nature, gardening and sailing. Posted on November 5, 2018 by Lory MacDonald and filed under Paintings and tagged ArtfestChristmas #ChristmasCrafts #ygk #ygkarts #kingston #ChristmasShopping. Patricia Thompson's beautiful impressionistic and abstract works in acrylic on canvas or clayboard. Posted on October 31, 2018 by Lory MacDonald and filed under Paintings and tagged ArtfestChristmas #ChristmasCrafts #ygk #ygkarts #kingston #ChristmasShopping. Libby Osmond Guy creates oil paintings of landscape, seascape and other objects that catch her interest - sometimes a cup with a lipstick mark or an hour glass. She works with a vibrant colour palette and a loose brush stroke; the painting technique is as important as the subject itself. Posted on October 29, 2018 by Lory MacDonald and filed under Paintings and tagged ArtfestChristmas #ChristmasCrafts #ygk #ygkarts #kingston #ChristmasShopping. 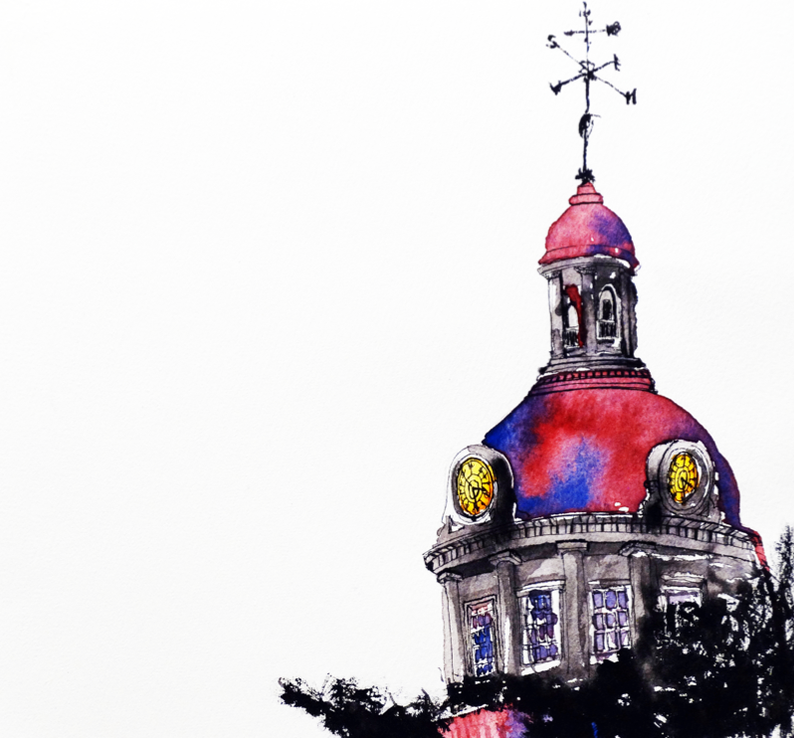 Kingston artist Joslyn Wilson creates colourful acrylic paintings that will light up any room they are in. Posted on October 24, 2018 by Lory MacDonald and filed under Paintings and tagged ArtfestChristmas #ChristmasCrafts #ygk #ygkarts #kingston #ChristmasShopping. Looking for a new painting for your home? There is something for everyone at Artfest Toronto! Stroll the cobblestone lanes of the Distillery Historic District this labour day long weekend where you'll find Canada's top artists featuring paintings from all artistic styles imaginable at one of Canada's best art and craft events ever at Artfest Toronto. From abstract paintings to memorizing alcohol ink use, and various watercolour techniques, Canadian landscape and wildlife paintings to abstract expressionism, pop art, and surrealism, bring home an original art piece ~ YOU deserve it! You'll find a unique selection of carefully chosen artists at our last Artfest show of the year. You won't want to miss out on a memorable experience and a chance to choose the perfect art piece to hang in your home or office. We have an astonishing selection of Canadian artists and painters at all of our Artfest Ontario shows. Their works incorporate many genres and are breathtakingly beautiful - to say the least! We invite you at come out to our Artfest Toronto show this Aug 31 - Sept 3, 2018 and see for yourself! Artfest Toronto runs from 11-6pm, daily for Labour Day long weekend at the Distillery Historic District in downtown Toronto. Our jury selection is a difficult task for our Artfest shows as we have many talented Canadian painters to choose from. So... our final selection features top Canadian fine art painters from across Canada. Posted on August 20, 2018 by Lory MacDonald and filed under Paintings and tagged Painters Visual Art Artfest Toronto Distillery. Jennifer Elliotson: a Canadian artist living and working in Niagara’s Wine Country near Jordan, Ontario, is exhibiting her detailed paintings at our upcoming Artfest Toronto show. Located downtown Toronto at the Distillery District, Jennifer is just one of many extremely talented painters that we give tribute to. Jennifer's work is bright and vivid and often depicts travelling on the road, enjoying the many wonders life has to offer us! Her work lifts your spirits instantly and almost makes you want to book that well deserved trip, grab an ice-cream cone and hit the road! Jennifer paints on stretched cotton canvas and also carries a selection of prints on cradled wooden panels. Featuring a theme of vintage campers in natural settings, many of her paintings are inspired from her own travels. 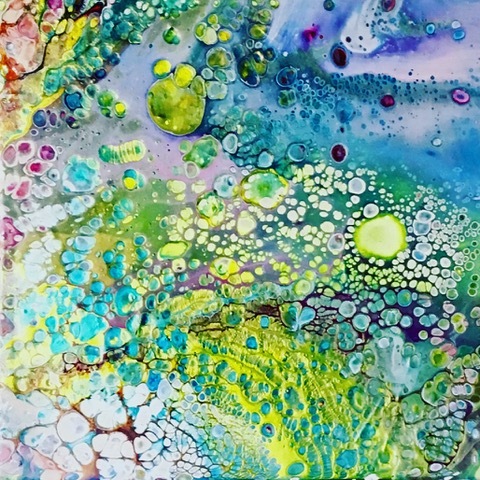 Come say hi to Jennifer at Artfest Toronto - ask her about her favourite trip and spark a conversation about her paintings - who knows, maybe you'll add a piece of her vibrant artwork to your home decor. Artfest Toronto runs from Aug 31 - Sept 3 this labour day long weekend! Posted on August 20, 2018 by Lory MacDonald and filed under Paintings and tagged Vintage Paintings Jennifer Elliotson Artfest Toronto Visual Art. On the Road to Kingston- Artfest, for the love of art and craft. Ok folks are you following along? We have soared into Toronto with an amazing Distillery show, kept going the next weekend and flew into Port Credit and knocked some socks off with our quality artist and artisans. 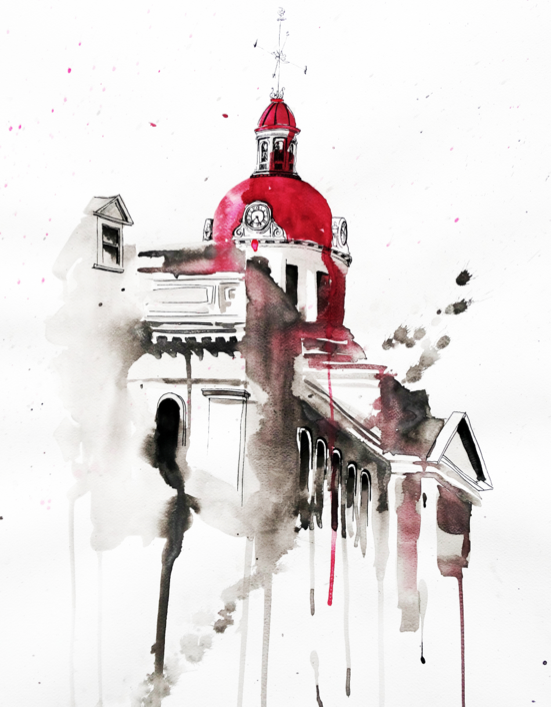 Now comes our big one… yup… Get ready Kingston because here we come. This is our flag ship show. Our Artist and Artisans will be seen hauling in from across the highways and bi-ways to converge on Kingston’s City Park this Canada Day Weekend. We have some from as far away as British Columbia, as near as Kingston herself, Northern Ontario, Quebec, Cape Breton and the GTA..
We are honoured to have the return of our First Nations and the beautiful art, culture, story telling, singing and traditional crafts. 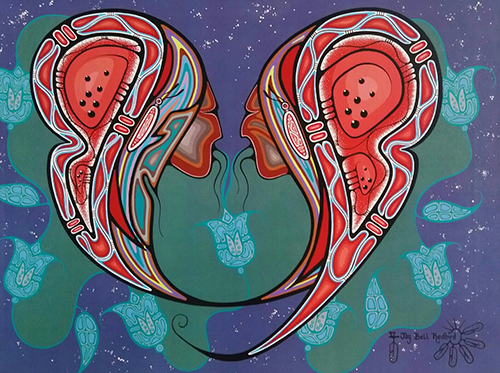 The Gikinoo'amaadiwag Project, led my Jay Redbird, offers indigenous artists a way to share their work and mentor young artists in the creation and exhibition of their work. Gikinoo'amaadiwag means “to teach each other”. 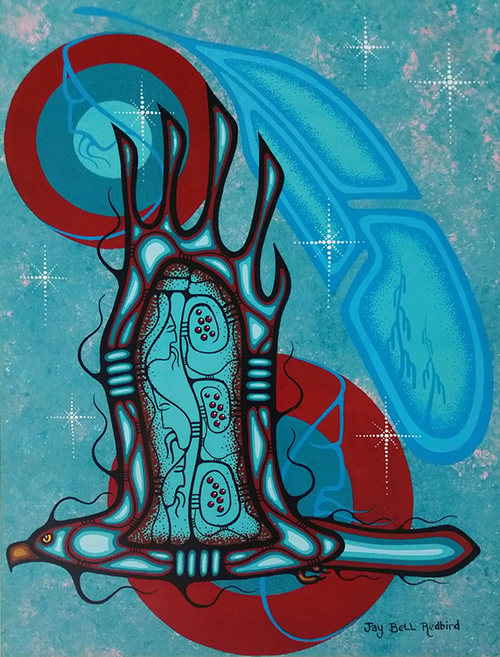 Finding that perfect piece of art or craft from one or more of Our First Nations Artist is truly something special. You will be welcomed at the park entrances by our friendly Greeters, given a program and map. Make a quick donation, (help keep Artfest Kingston free ), and don’t forget to enter the contest for $25 Artfest Dollars (hourly draw), and voila... you are now wondering down the pathways of Artfest Kingston, City Park. There are two hundred artists waiting for you to visit. Plenty of art activities for children and families. Food venders...mmmmm ... Ice cream.....Ice cold Beer in the beer tent, gourmet food venders. Music all day, and oh the amazing treasures handcrafted by our Artist and Artisans. Where can this art adventure be found next? Hold on, we are heading back to the Toronto Distillery for our Fine artist show in September. Then well, follow the Christmas trail to yes, Kingston. This will be our first annual Christmas show. Come shop and enjoy the excitement of picking out that perfect gift for your friend, family or my favourite person to shop for, yourself. Artfest Ontario, for the love of art and craft. A feast of colour for your eyes, a spark for igniting your imagination and bringing creativity to your soul. Posted on June 27, 2018 by Lory MacDonald and filed under Paintings and tagged Margi Laurin. Artfest Port Credit is back this weekend! Artfest Port Credit launches the summer this upcoming weekend celebrating over 100 of Canada's top artists and artisans! Offering functional pottery, glass art, one-of-a-kind jewellery, paintings, woodcraft, gourmet foods, live music, children's art classes and much more, Artfest Port Credit is definitely the place to be! FREE children's art classes all weekend long! Where: Located in beautiful Memorial Park in the picturesque downtown of Port Credit. Need directions? Click here. View more of our talented exhibitors below and see you all at the show! Not to worry if you miss out on this weekends Artfest event, there are two more following: one in Kingston (Canada Day long weekend) and one in the fall at the Distillery District! So stay tuned! Posted on May 24, 2018 by Lory MacDonald and filed under Paintings and tagged Visual Art Paintings Artfest Port Credit Memorial Park. We have an astonishing selection of Canadian artists and painters at all of our Artfest Ontario shows. Their works incorporate many genres and are breathtakingly beautiful - to say the least! We invite you at come out to our Artfest Toronto show this May 19th to 21st 2018 and see for yourself! 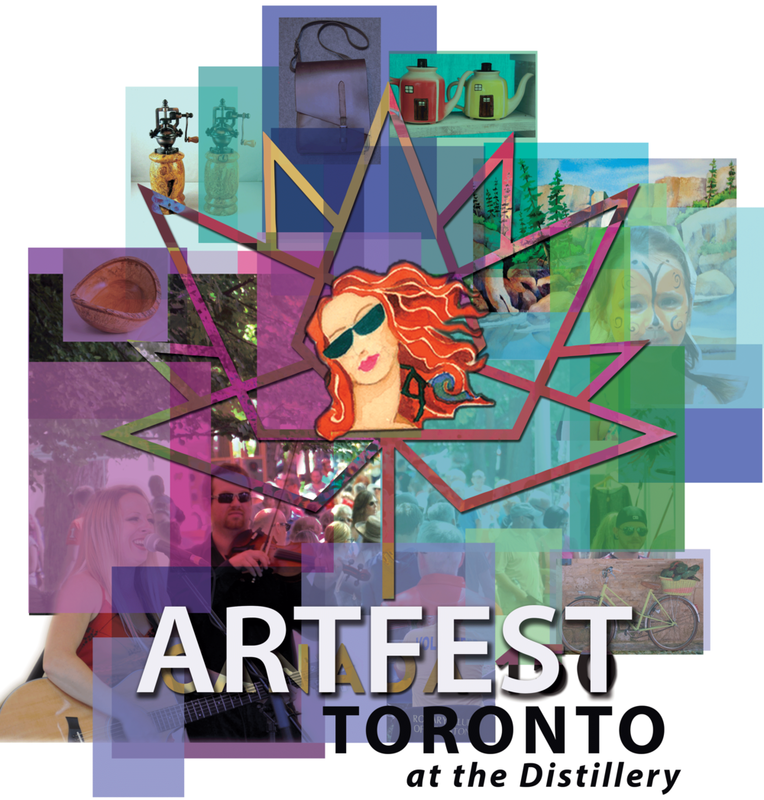 Artfest Toronto runs from 11-6pm, daily for Victoria Day long weekend at the Distillery Historic District in downtown Toronto. Our jury selection is a difficult task for our Artfest shows as we have many talented Canadian painters to choose from. So... our final selection features top Canadian fine art painters from across Canada. Looking for a new painting for your home? There is something for everyone at Artfest Toronto! The collection of fine art painters is vast so you are sure to find that perfect art-piece to hang on your wall and gravitate with your home decor. From Canadian landscape paintings to abstract expressionism, pop art, and surrealism, wander the cobble stone streets and bring home an original art piece ~ YOU deserve it! Artfest Kids: free art workshops all weekend! Posted on May 8, 2018 by Lory MacDonald and filed under Paintings, Wall Art and tagged Visual Art Painters Painting Artfest Toronto Distillery. Visual Artist Celebrates Canada 150 with a themed Collection! 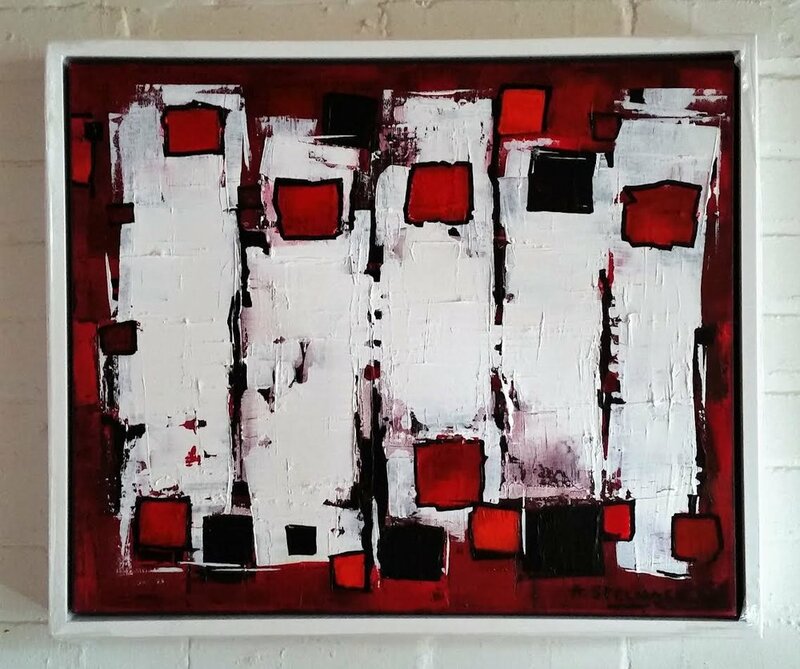 Andrew Stelmack is a Canadian Abstract Visual Artist who will be featuring his new line of Canadian themed paintings at our upcoming Artfest Kingston show celebrating Canada 150. Posted on June 5, 2017 by Lory MacDonald and filed under Paintings and tagged Visual Artist Andrew Stelmack Artfest Kingston Canada 150 Canadian Art. Brianna Mulvale features her folk art paintings at Artfest Port Credit! Brianna Mulvale is a young full time Canadian artist and designer from Georgetown, Ontario. Her love for art and creating began in early childhood and is one of her main inspirations in life. Creating and painting is her everyday pleasure and commitment. Brianna creates folk art that is fun and whimsical, with a little bit of funk. I try as an artist to present a reflection of the beauty in life with inspirations drawn from the otherwise mundane and inspired by what connects us all, even if not seen in the moment of time. Brianna works with acrylic on canvas and her themes are based on folk art.. Her paintings depict sweet characters inhabiting a charming hilly land. Her paintings are full of a collection of houses, hills, hot air balloons, scarecrows, horses, dogs, cows and cats, kites, kids, and snowmen. 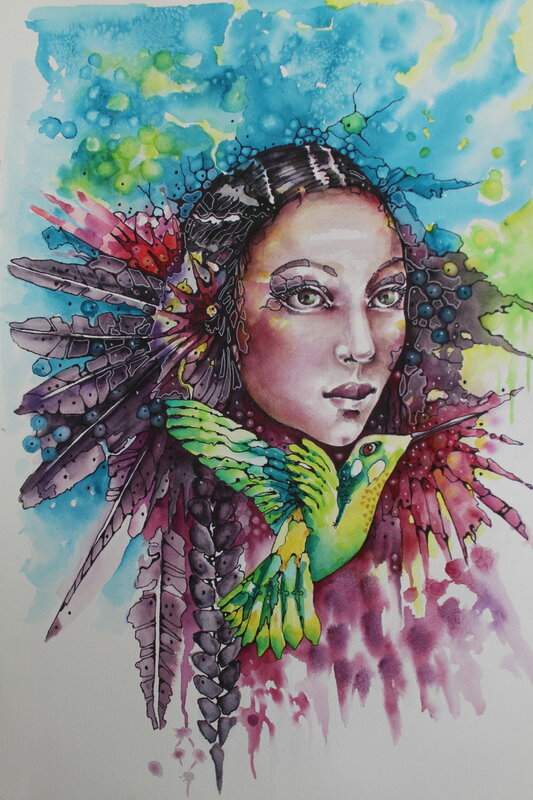 Her use of vibrant colours creates an enchanting world that draws you in. Brianna also creates giclée archival prints and blank greeting card reproductions of her work. 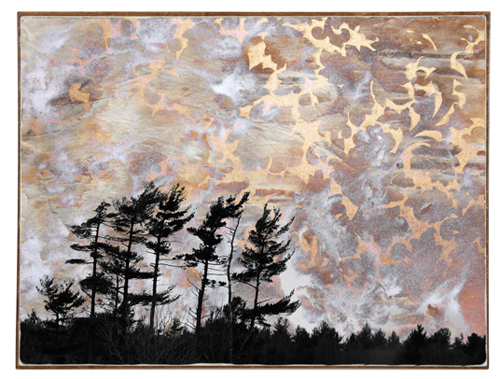 All of the imaging is completed by her and the prints are produced in Halton, Ontario. Check out Brainna's Artwork here. 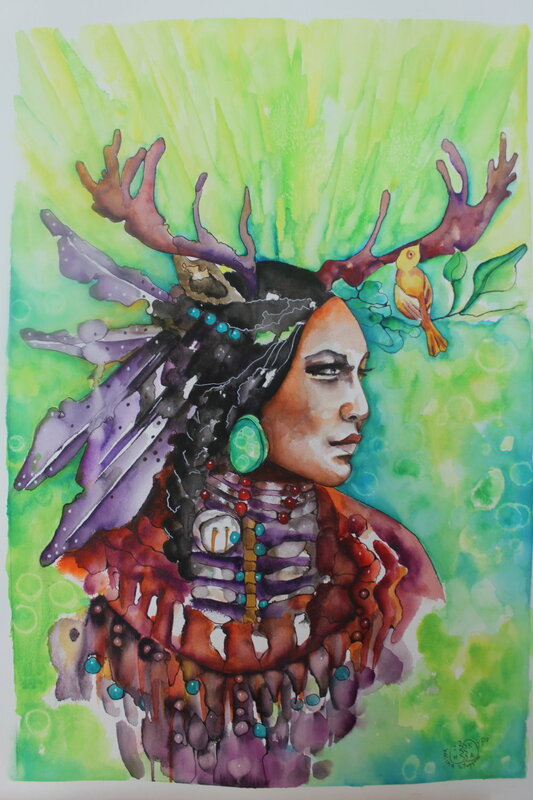 Her funky, folk artwork will be showcased at Artfest Port Credit, from May 26 - 28th! See you at the show! Posted on May 16, 2017 by Lory MacDonald and filed under Paintings and tagged Folk Art Artfest Port Credit Artfest Brianna Mulvale Acrylic. SORiaN ArT delves deep into the surreal! As a surrealist painter (and a philosophical poet), Sorin Cretu's focus is into the abstract, the conceptual, the surreal, the archetypes, the ideas, and the metaphors of this world. All combined with the vastness of the soul. These are the seeds and the pillars of the stories that Sorin portrays in his vibrant artwork. His paintings clearly demand the participation of the observer, to dive inside them, and to embrace them in order to eyewitness this emerging new world. Sorin's artwork represents is the living into the state of getting closer to the finality of our questions, it is the act of not walking away and turning the back to our battles, our turmoil and our dreams. Sorin's art has the power to bring you back to life. "You are all invited to fully participate into this new realization of our cosmos," shares Sorin. 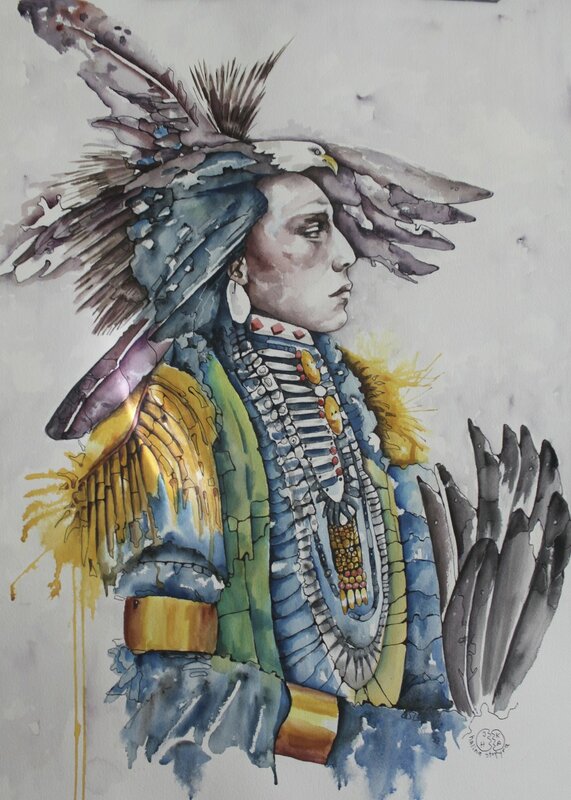 View his work at our upcoming Artfest Port Credit show and check out his website here: SORiaN ArT. Sorin's background in art and philosophy gives to this attempt a distinctive perspective. Through his paintings and his poems he is able to guide you into this new world. Look again at this world through his art like through a magical crystal and find a new connection with your own intimacy, your prejudices, your shame and guilt, your safe zones and your dark demons lurking behind our precious convenience. "My artist name is SORiaN, I am surrealist artist painter and my favorite medium is oil on canvas. As a painter, my focus is into the abstract, the conceptual, and the surreal. Archetypes, ideas, metaphors of this world and the vastness of the soul are the seeds and the pillars of the stories that I am telling in my paintings. They demand the presence, the attention and the participation of the observer, to dive inside them, to embrace them in order to eyewitness this emerging new world. The various philosophical, historical, social, psychological concepts are woven together into compositions which are telling stories along with them, inviting the beholder to understand them, to decrypt them, to re-evaluate one`s own vantage point, to give expression to the meaning of each one’s paradise or torment. My background in art and philosophy gives to this attempt a distinctive perspective. My art looks for the liberated seeker, with the depth, tension and sharpness of un-imprisoned thought; it is about what seems to be in our sight, but mostly hides at the edge of our eye, it is about the truth in our un-admitted lies and the freedom we silently crave for in the shadow of our defeats. My art is about the presence, about the now and here in everything and the endurance to walk this path. " Posted on August 24, 2016 by Lory MacDonald and filed under Paintings and tagged Sorin Sorian Art Artfest Port Credit Surrealist. Maria is a visual artist who works in the media of oil and soft pastel. She started as a still life photographer and focused on exploring light brush technique which allowed her to create interesting light in her images. Later, she moved to painting to overcome the limitation of the camera and to produce more expressive artwork. Today she focuses more on landscape painting. The subjects of her paintings are trees, grass, water and sand. As a landscape painter she tries to do most of her work on location. She loves nature and painting outside gives her a lot of joy. She calls herself a colourist. 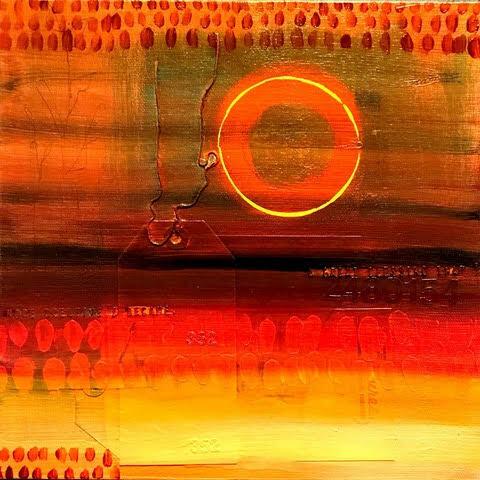 She is inspired by sun lit scenes with vibrant colours and she tries to pass on this excitement to her viewers. She has found that she gets the best results when she uses the pure pigment of soft pastels or paint with a palette knife in oil. Both techniques allow her to keep her colours clean and bright. Posted on August 21, 2016 by Lory MacDonald and filed under Paintings and tagged Oil Pastel Artfest Toronto Paintings Visual Artist Distillery District.